Expand search to view more listings in and around Knoxville. 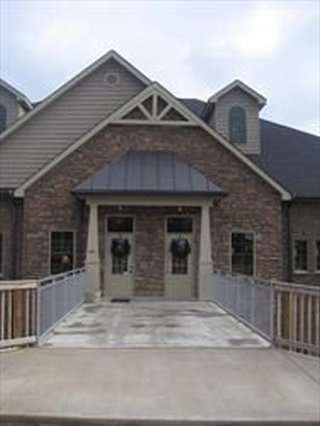 See more offices in and around Knoxville. At Offices.net we now have office properties for lease as well as business centers and coworking hubs located in prestigious Knoxville business areas, with office suites, shared spaces available and shared office space for lease in a range of sizes and configurations. With easy, short term and flexible rental agreements, your company will have the benefit of a prestigious business address in Knoxville, Tennessee including an extensive range of services and amenities, without the commitments of a conventional office space lease. Knoxville is the third largest city in the state of Tennessee and its economy is largely driven by the University of Tennessee's main campus and high-tech industries. Knoxville's central location makes it an attractive city for many warehousing and distribution companies. Any business looking to open headquarters or set up new office branches will find Knoxville to be an appealing option. 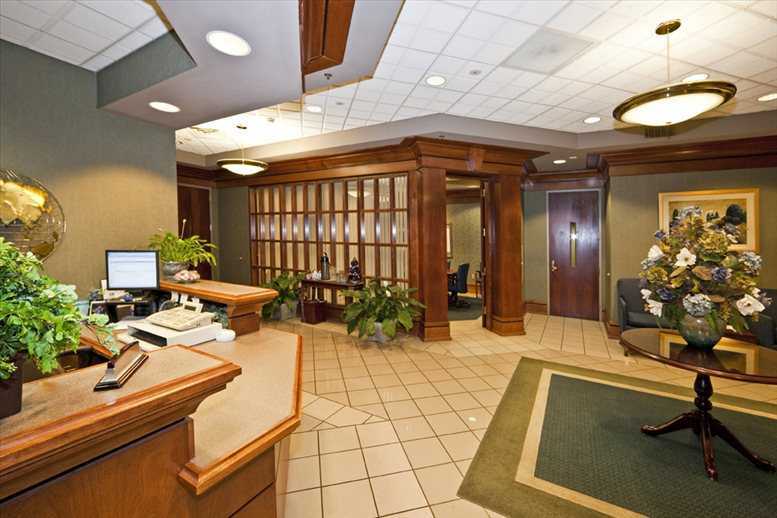 Regardless of the size of your company or what specific requirements you have, we have a wide selection of executive office suites and furnished office space for lease in Knoxville to suit your needs in Knoxville, Tennessee. With flexible rental contracts and a range of professional business support services and amenities included, the above listed Knoxville office space is ready and available to suit you. Whether you require Knoxville retail space for lease, private offices, medical space, coworking spaces, Knoxville industrial space, executive suites, office warehouses or other - we'd love to hear from you. The city's office market consists of more than 16 million square feet of space divided into 10 sub-markets: downtown, Boardon, Campbell Station, Walker Springs, East Knoxville, North Knoxville / Boradway, Emory Road, Lovell, South Knoxville, and Anderson County. Most office inventory is located in downtown Knoxville, which is also known as the Financial District. While many office buildings in this area date from the 1970s or even earlier, the Turkey Creek area has been growing rapidly as an alternative office location that combines a central location with more modern business accommodation options. Overall, this market evidences strong fundamentals and consistent growth indicators, which are likely to be ongoing considering the expansion and relocation trend evident in the city's core sub-markets. Vacancy rates have nearly halved over a period of three years, and in 2017 they averaged 8 percent. As for asking rates, Class A space commands average rents of $16 / sq ft / year, although they are higher in the priciest sub-markets (i.e. Campbell Station, Walker Springs, and Emory Road). A number of the business centers come inclusive of an outstanding array of office support services, with friendly reception staff, security and onsite IT personnel, WiFi and internet services. A number of the furnished office buildings also provide video conferencing facilities, spacious conference rooms, and kitchens. Choose one of the Knoxville offices for lease listed on this page. Find office space available on temporary rental terms to suit needs and are located in prime Knoxville business positions. Knoxville is located in the northeast of Tennessee and is the third largest city in the state after Nashville and Memphis. Throughout the city's history, the local economy experienced several ups and downs, and went from relying on transportation, textile manufacturing, and wholesale trade to becoming a modern and diversified economy, especially from the 1980s onwards. Nowadays, Knoxville has a service-oriented industry base where the most important sectors are trade, financial activities, and utilities. The city's location within close proximity to the Great Smoky Mountains means Knoxville is a hub for outdoor activities, so leisure and tourism are well developed in the city. Lastly, Knoxville is an important high-tech hub for companies involved in defense, cleantech, and environmental science. The list of largest employers includes Oak Ridge National Laboratory, the University of Tennessee and its associated Knoxville medical center, Knox County Public School System, the City of Knoxville, Covenant Health, Tennova Healthcare, Clayton Homes, Denso Manufacturing, and the State of Tennessee. Knoxville is one of the top 10 fastest growing cities in the United States, as the local population increased by more than 33 percent during the first decade of the 2000s. The city is also know to be one of the few urban centers to have fully recovered from the recession and its unemployment levels are low at 3.5 percent. Overall, Knoxville is a solid choice for companies looking to recruit graduates in business, engineering, science, and technology due to the excellent educational credentials of the local universities and colleges. The local business community is comprised of more than 45,000 companies, many of which are small firms and family-run businesses, although there is also an important number of regional and national headquarters based here. Knoxville boasts a favorable business climate and was ranked 5th Best City for Small Businesses, scoring high in innovation and small business employment growth. 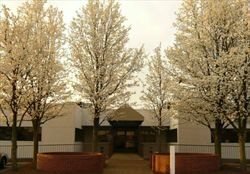 In addition to furnished office suites and commercial office space property listings in Knoxville Tennessee, we are also able to help you find coworking and creative work spaces for lease, hot desking, short term offices for lease and virtual office solutions in other cities throughout Tennessee. Call us and we will do everything we can to help you find your company's perfect office space.